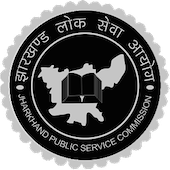 Online Application Details for Jharkhand Public Service Commission JPSC Recruitment of 47 Principal and 70 Professors is given below. Candidate's minimum education qualification for the Vacancies in Jharkhand Public Service Commission JPSC should be Master Degree / Ph.D. Degree in relevant subject with B.Ed. Application form and duly attested documents are to be sent to Examination Controller, Jharkhand Public Service Commission, Circular Road, Ranchi-834001. In envelope super scribed with 'Application for the Post of Post Name'.